The agenda for the next parish council meeting on the 1st February has been published. We look forward to seeing plenty of you at the meeting. 8pm at the village hall. The minutes from the finance meeting held on Monday 18th January are now available to view. There will be a finance meeting on Monday 18th January. There will be a joint meeting with Colne & Earith PC to discuss Time Banking on Monday 25th January. We look forward to seeing as many of you as possible at the meeting. The minutes from the recent Parish Council and Hall Management Committee meetings are now available to view. Any questions please do not hesitate to contact the clerk. 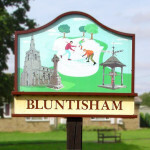 Two planning applications are to be discussed on Monday 11th January from 8pm in Bluntisham Village Hall. Click here to see the details. The Hall Management Committee are meeting on Monday 11th January from 8.15pm in Bluntisham Village Hall. Click here to see the agenda. All welcome to attend both meetings.